Make it a BLUEtiful memory. When we see your guests smile, we know we’ve done our job. 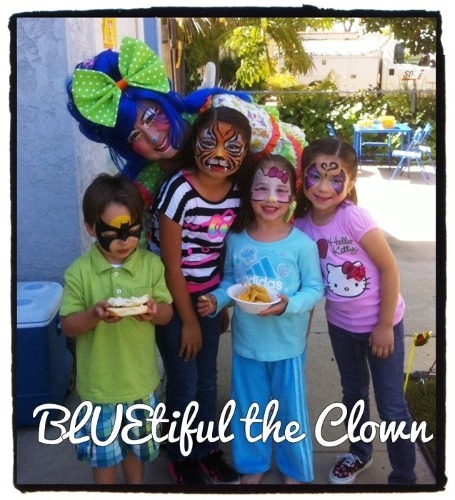 Bluetiful the clown brings professional quality face painting and/or balloon twisting to your party. Please fill out a reservation request or call today (619) 518-4566 for your party’s date & time! 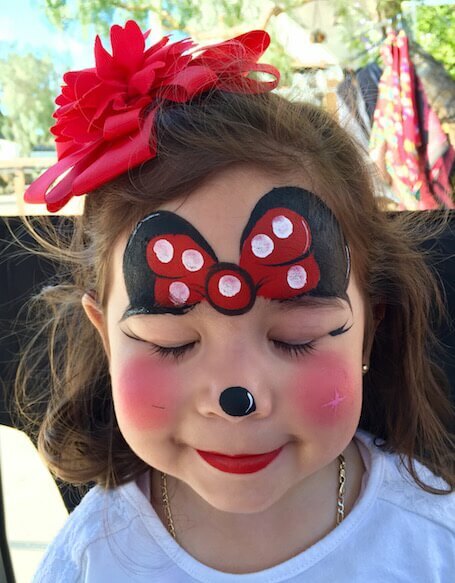 Face painting is fun for birthday parties and all types of celebrations. 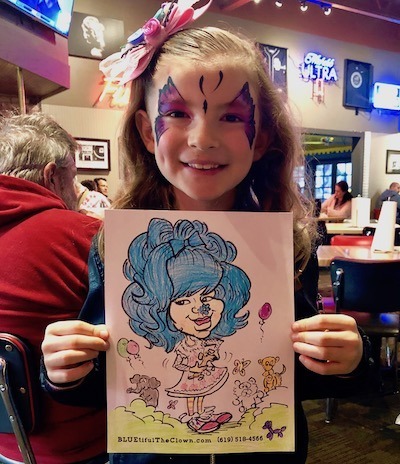 It’s always entertaining to see kids play like they’ve become butterflies, animals, superheroes and many other things after getting their face painted with my full and half face creations. 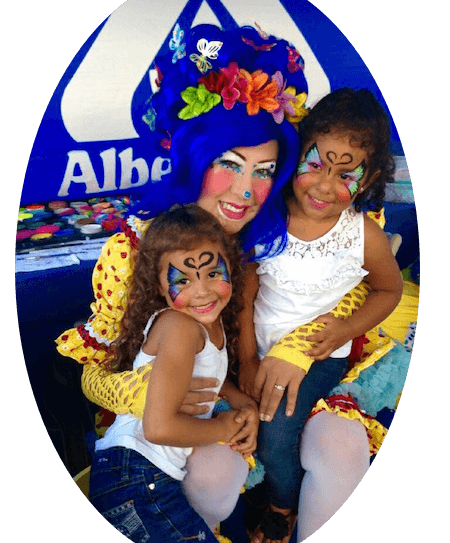 Restaurants like Peter Piper Pizza and San Diego tourist spots such as the Old Town Market San Diego have had me as a featured face painter to make their guests look great. I’m always studying the latest in face painting to give you the best face painting I can. I focus on making faces “BLUEtiful” so your children and guests are ready for pictures that will be treasured for years to come. Other types of face and arm art that I have available are glitter tattoos and air brushing which are excellent for pool parties. “If I could give more stars I would! 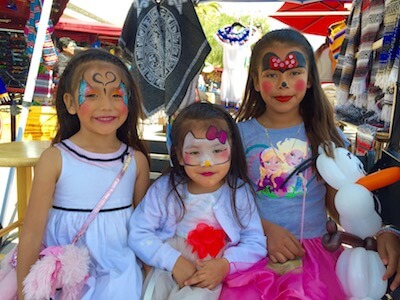 … All of the face painting was amazing. Please consider her for all your parties. You will never use another clown again.” – Hallie P.